When it comes to financial translation, Raffles Translation’s service is renowned for its accuracy, fast time-to-market, excellent client satisfaction and ability to produce a quality job within a given budget. Here, technical accuracy in financial translation is arguably more crucial than in any other translation, as it may have a potential impact on the revenue streams of a client. Very often, a client is cautious about the capability of a translation agency to translate its financial documents, such as financial statements, fund reports, prospectuses, etc. because this is an area so specialized and often considered so obscure that few translators are able to produce a satisfactory result. The fact that the client approaches translation agencies for a trial translation before deciding to whom it should give the contract is the best indication of their potential worries about the outcome. With over a decade of experience working with banks and other financial institutions, accounting firms, asset management organizations, etc. Raffles Translation is now one of the Singapore major players in providing financial translation service to both banking and non-banking organisations. 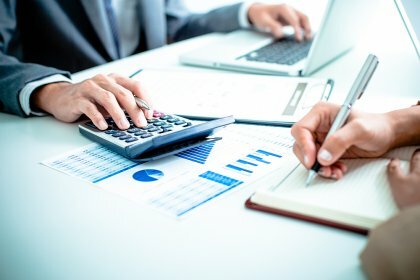 Having plenty of financial translation wizards majoring in accountancy, economics, finance, MBA or other related fields, we are able to offer the industry’s most comprehensive client service and serve any of your needs for translating any of your financial and accounting documents in a highly professional manner. As bad financial translation may be bad for your finances, always remember you will not only need financial experts to translate your financial documents well, but also financial editors to edit them better. Just CLICK HERE to get a Free Quote on our Specialized Financial Translation or call us at +65 6570 6028.